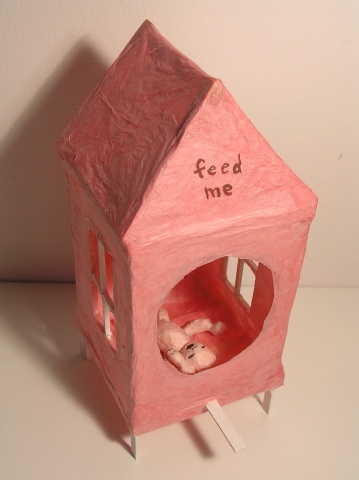 3.35" x 3.25" x 8"
Nestled into a delicate pink paper house, a tiny human infant reflects the struggle of newborn birds. Alone, with minimal protection from the external world, the baby silently cries. Like a fallen hatchling, it waits for its mother to protect, comfort and feed it.